To judge by the number of copies in which it is preserved, this trio must have been one of the most popular instrumental works by either of the brothers Graun. As usual the scoring varies among the copies. 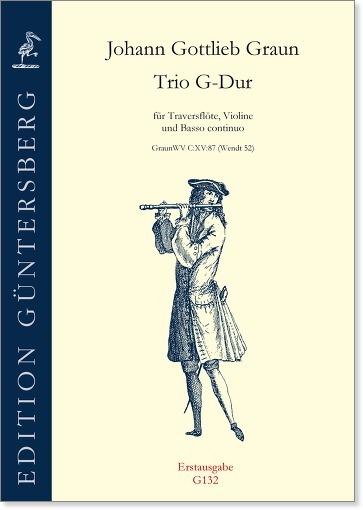 Our edition for flute and violin is based on three copies of the Staatsbibliothek zu Berlin. The trio is musically very charming but it is not especially difficult to play. It can also be played by two violines or with minor modifications by two flutes. 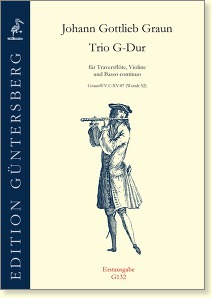 See also our version for two violas da gamba (G131).